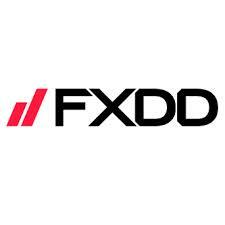 After we heard for a while the possibility of FXDD leaving the US market, in favor of focusing on their business in the rest of the world, it is now official – FXDD’s US clients have received an email note informing them about FXCM acquiring their Forex trading accounts. FXDD was founded by the North American subsidiary of Compagnie Financière Tradition back in 2002 as a sister company. After it had acquired a solid client base across the region it expanded its operations to the European Union where it set up its headquarters in Malta, which are FXDD’s current global headquarters. Following the harsh regulatory challenges that arose with the implementation of the Dodd-Frank act in 2010, the firm took a decision to sell its US business. Forex Magnates broke the news about the likely acquisition of the company’s US trading accounts by a major US Forex entity a couple of weeks ago and has followed up with a post which clarified that the bidder for the pot is FXCM. The total equity of client funds held in custodian holding accounts totals approximately $27 million divided between about 7,000 active FXDD U.S. accounts. No official information has been released yet by FXCM about the changes which some clients will have to go through. The likelihood of FXCM keeping FXDD’s Jforex platform are very slim, with the most likely outcome being to offer customers to transfer their trading activities to FXCM’s own Trading Station, or MT4. 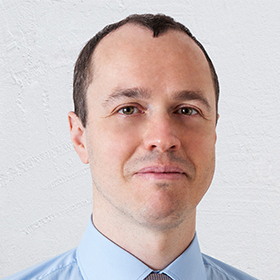 As Forex Magnates has already reported, there is a substantial likelihood that the free capital the company now has could be used by FXDD for a Boston Technologies take-over deal – boosting FXDD’s tech portfolio under their Forexware arm dedicated to developing and providing retail FX technology. The letter sent out to clients of FXDD states that no action will be required for customers to have their accounts transferred to FXCM and the switch to a new platform if necessary will be made based on the trader’s current platform and trading history. Open positions of the customers of FXDD will be transferred to their new account with FXCM at no cost, however, any pending orders will have to be reinstated. Trading functionality for clients of FXDD will remain active until Friday, May 16th. For FXDD customers who are not willing to have an account with FXCM, they will need to contact customer support by May 16th to have the option to close all their positions and withdraw their funds or close their open positions and transfer their account to a brokerage of their choice. It sounds to me that Boston Tech is worth orders of magnitudes more than the transfer of a few thousand retail fx accounts (and its still unclear how many of them FXCM can retain). All your client base are belong to us. This is bad news for small retail JForex clients (individuals) in the USA. Will another US broker pick up JForex white label?